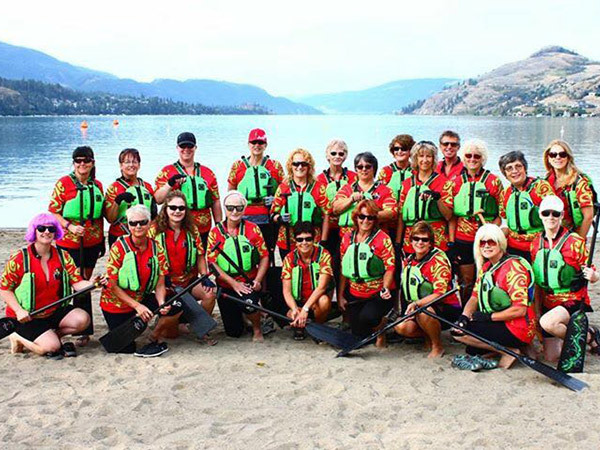 The Despirit Housewives came together in 2005 with a group of experienced paddlers wanting to become part of a competitive team. With a tremendous passion for the sport, we wanted to show not only can you be competitive; you can have a boat load of fun while doing it. Our play on the name “desperate” came from us wanting to let everyone know our team is full of spirit….hence the spelling Despirit. Just a heads up, if you look closely at our shirts, you’ll notice we have a “morning” dragon and an “evening” dragon. Again, just to show how much fun and spirit is involved with this team. 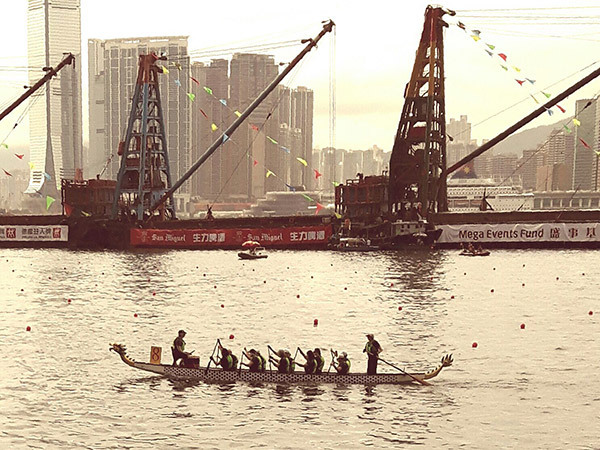 We have participated and done well in many festivals both in British Columbia and internationally—the most recent being the Hong Kong Dragon Boat Carnival in June 2016. 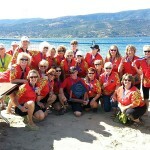 Sharen Degelder has been our coach since inception and has led us to many victories over the years….locally and away. Sometimes we love her, sometimes we hate her….depending on the practice. According to her exact words, her practices are done because “I care”. So, as a little show of appreciation, the team bought her a shirt that says “because I care”. 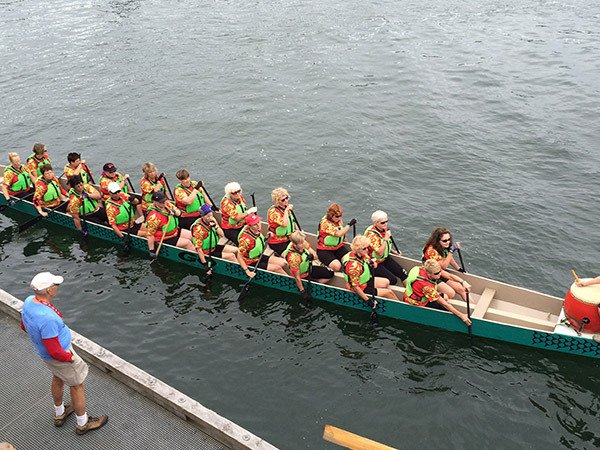 Being a competitive team can be challenging, not only for Sharen but for the team as well. It takes a lot of hard work, commitment and dedication. 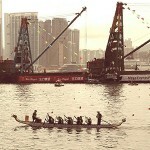 With that being said, we work hard on the water while balancing it with the fun we have together on land. From dancing in the beer garden to paddler’s parties, Wed wing nights and the occasional impromptu get together. Once you have paddling in your blood it’s hard to stop. 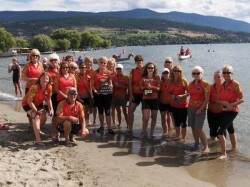 The team has had paddlers come and go over the years, many return because they miss it too much. 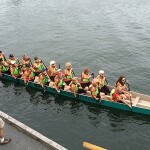 As with most teams, we’re always open to new paddlers, whether experienced or not. All you need is commitment, passion and fitness. Of course, once you’re on the team, the Spirit will be taken care of. 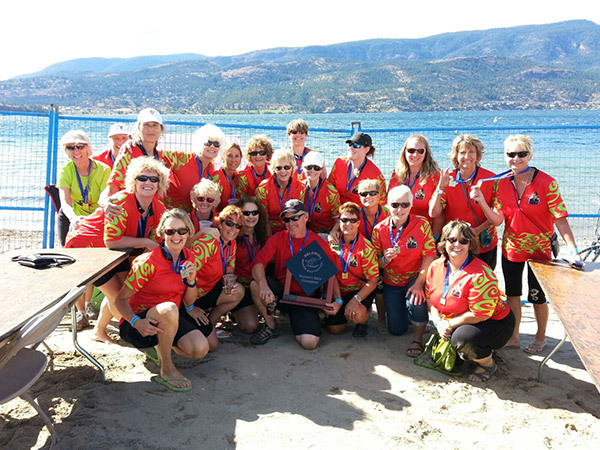 If you’d like to be a part of the top competitive women’s team in Penticton, please contact Colleen Raison (craison@shaw.ca) or (250-809-9881). 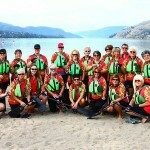 We practice on Skaha Lake and our practice days/times are as follows: Mon (5:30-7:00pm), Wed (7:00-8:30pm).